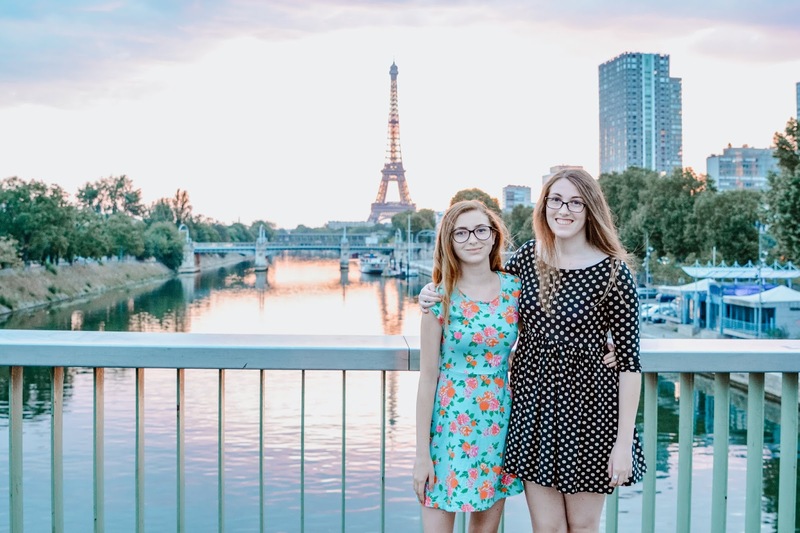 We had an early flight to catch, so we had to crawl out of bed at around 4:30am to get our bags packed and rush to get a few snaps with the Eiffle Tower in the background before we left at 6:30am. 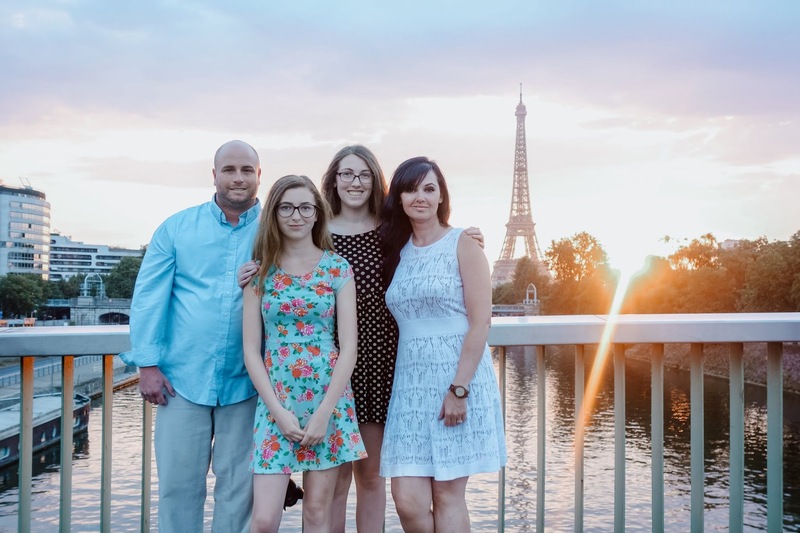 It was hotter than hell the day before, and after walking all over Paris I was not having family pics with us in sweat soaked clothes. We were exhausted and grouchy that morning, but seeing the sunrise over the tower was so worth the loss of sleep. I don't think there's anything more beautiful than a sunrise in Paris. 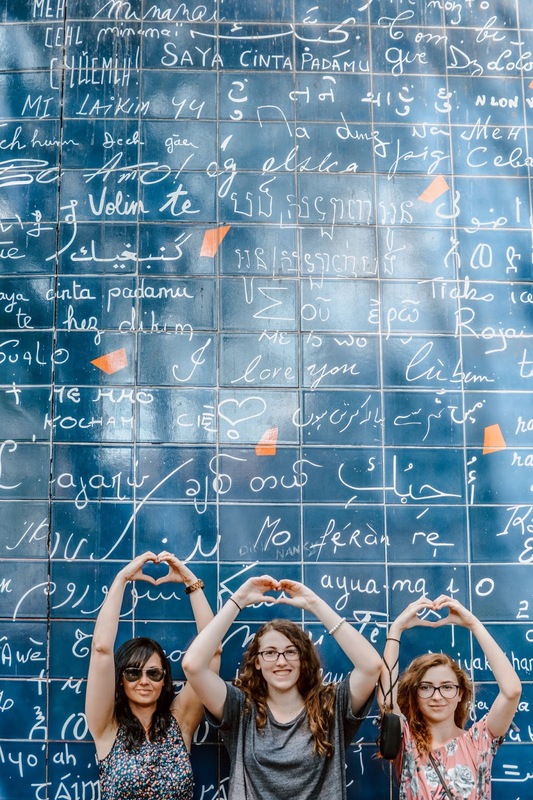 While strolling through Montmartre, we made a little detour to the Le Mur des Je t'aime (the wall of love) where you will see "I Love You" written out in every language. 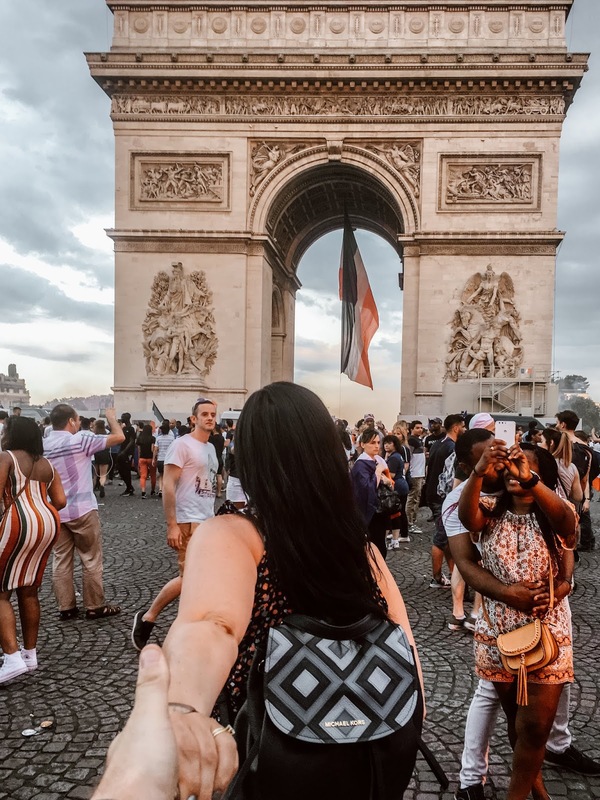 Just a little "Come With Me" shot through the Arc de Triomphe. Hey sister, soul sister. Better get that dough sister with a little detour to Moulin Rouge. 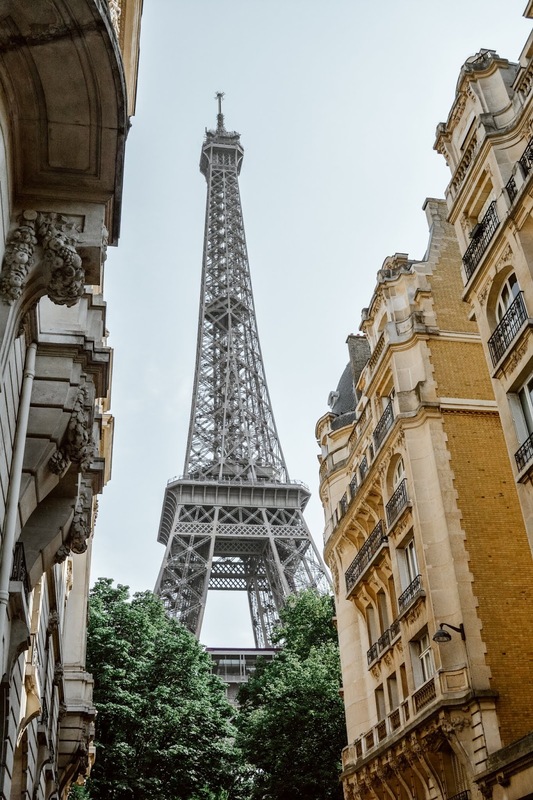 Since Paris wasn't initially on our European travel itinerary, we didn't fit in a show. However, I wasn't leaving without stopping by the iconic building for a quick snap. Love how you made the girls wear dresses in Paris :) You all looked lovely indeed. Oooh, there's Serbian VOLIM TE on that wall too! Happy Valentine's Day, Dahlink! The dresses was a demand before we left. I made them show me they had their dresses packed. It was the only thing I insisted upon that they put in the suitcases. Yes, the wall has every language of I Love You written on it. I'll share the full pic next week. It's quite a big wall! I love Paris. I finally got there with the family, and we had so much fun. I couldn't believe how gorgeous the city is. The whole city is truly a work of art in itself! I can see why you heart it. I love that back view of Allison. The lighting is just perfect! Those Eiffel pictures look too good to be real. You must of went by at the right time. Happy Valentine's Day. It looks like you all had a great time. Thanks Mary! Happy Valentine's Day to you too! What an amazing experience! 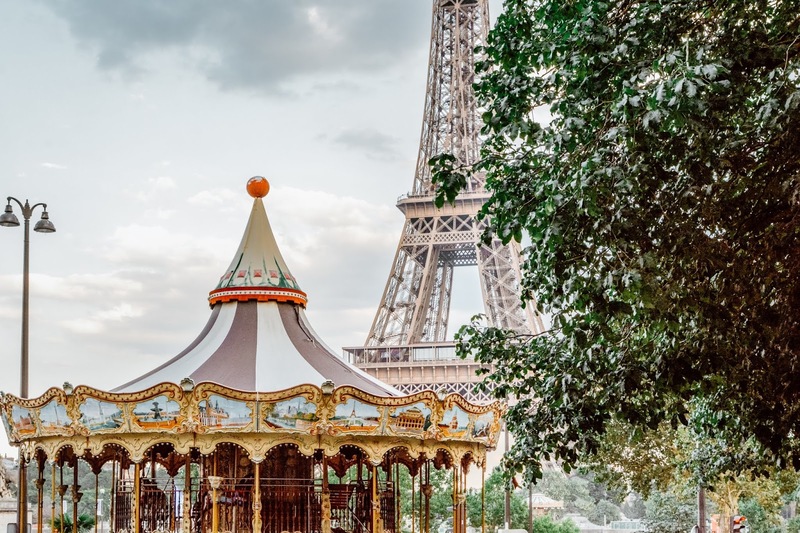 Paris is my fortieth birthday destination, which is still a few years away, however your gorgeous photos have me wanting to hop on a plane right now. I hope you get there for your 40th! What a fabulous way to spend a milestone birthday! 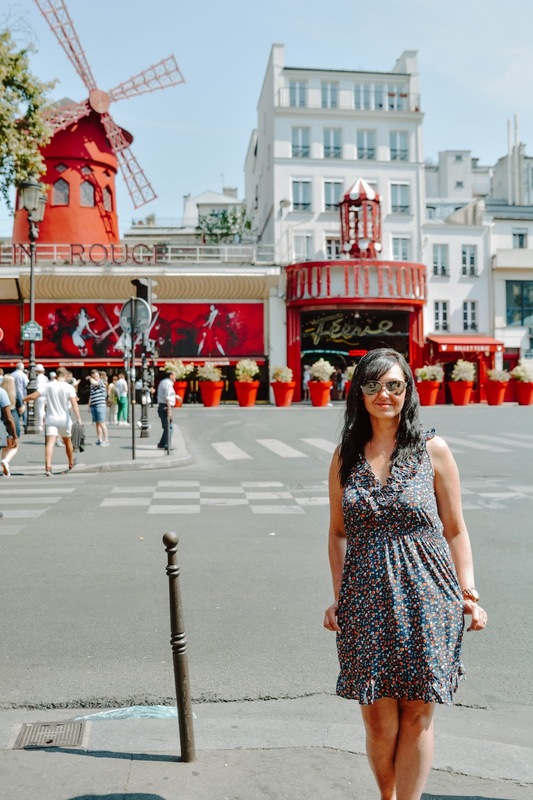 I have visited Paris once and I loved it.Your beautiful pics is motivating me to go back again. Never get enough of it! I just love Paris and I would be happy to come back here again and again, Theresa. last March I visited this city again.. I loved seeing your pics of your visit. It got me so excited for our trip. I would love to go back again some day, especially for the pastries! Those are great pictures. They make me want to travel. ;) :) I love that you had the family picture taken. So worth getting up so early! Thank you Rosey :) It was so worth getting up early! Oh my goodness, I am so jealous of this trip! I can't wait to go there myself and experience its beauty. Wow, that shot of your girls is absolutely gorgeous! I can't wait to take my kids one day. I totally agree! Paris is such a beautiful place!! 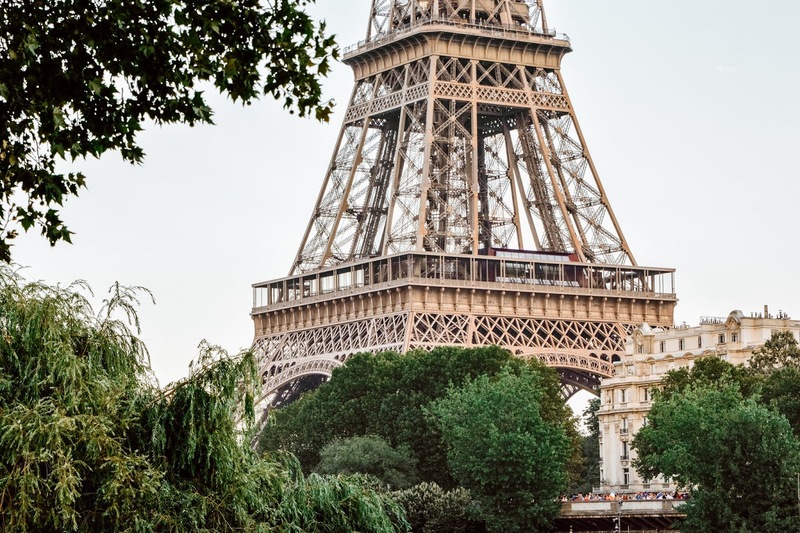 I would love to visit Paris someday. Looks like you had an amazing time there! 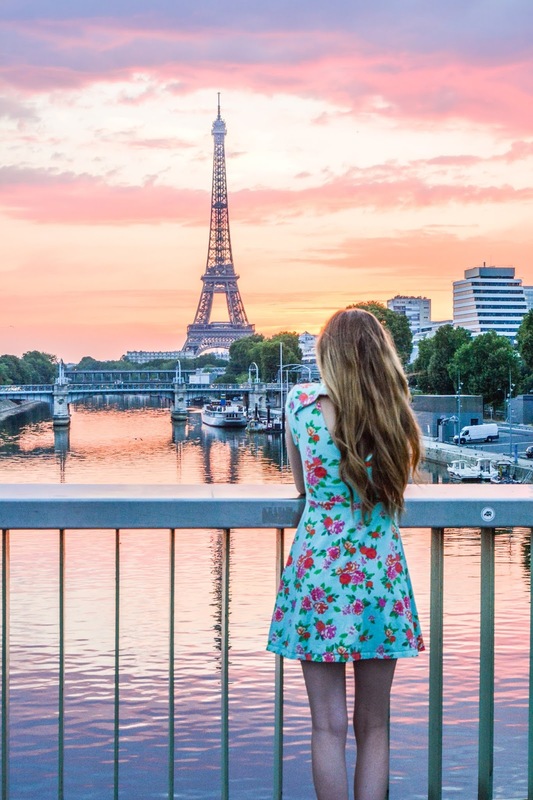 Your pictures of Paris is so beautiful. It is definitely worth getting up at 4:30am and see the sunrise over the Eiffle Tower. After seeing all your pictures, I want to visit Paris too. Happy V-Day! 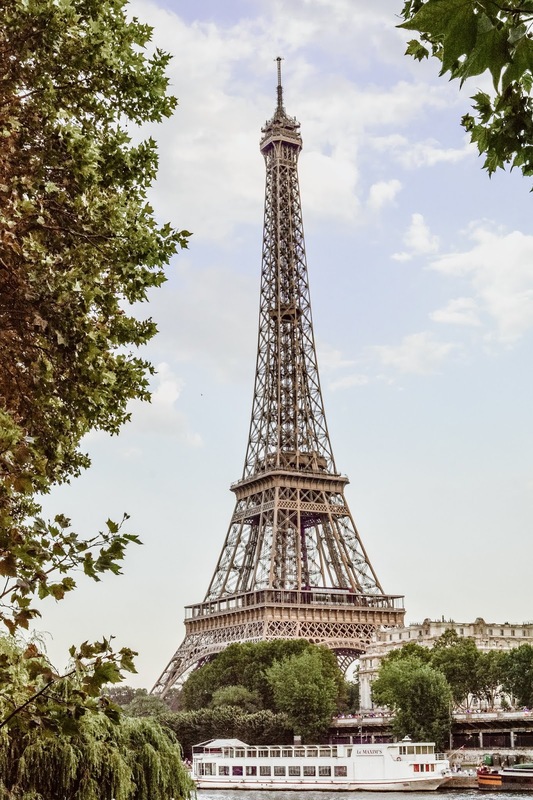 Paris is a great romantic place to visit. It's awesome that you and your family were able to go there. I’m just so in awe of your photography in this event. I’ve seen photos of Oaris many times but yours are my favorite. It looks like you had a great time in Paris. I am looking forward to the day i step foot there. That's a great family photo of the four of you together.